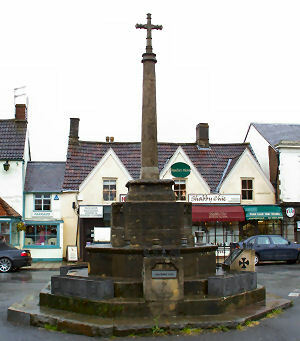 The original Chipping Sodbury Market Cross was erected about 1553 near this site. It was finally removed to the Presbytery remaining there for many years. BELL Charles Francis [listed on memorial as Charles Bell ]. Cpl. 527 16th Royal Warwickshire Regiment, died on 17th October 1916 age 29. Son of William Samuel and Elizabeth Bell of 13 Fairlawn Ave., Filton. Buried plot IV. B. 33. Le Touret Military Cemetery, Reichebourg-L'Avoue, France.